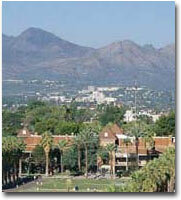 With over 300 degree programs, the UA is known around the world for its academic excellence. Students are responsible for knowing and understanding the contents of the catalog they are following and are strongly encouraged to read the UA's student responsibility policy. The official UA Seal is present at the top of each Catalog page, while the green arrow identifies links that leave the official site.